Irene – Why Was She So Bad? 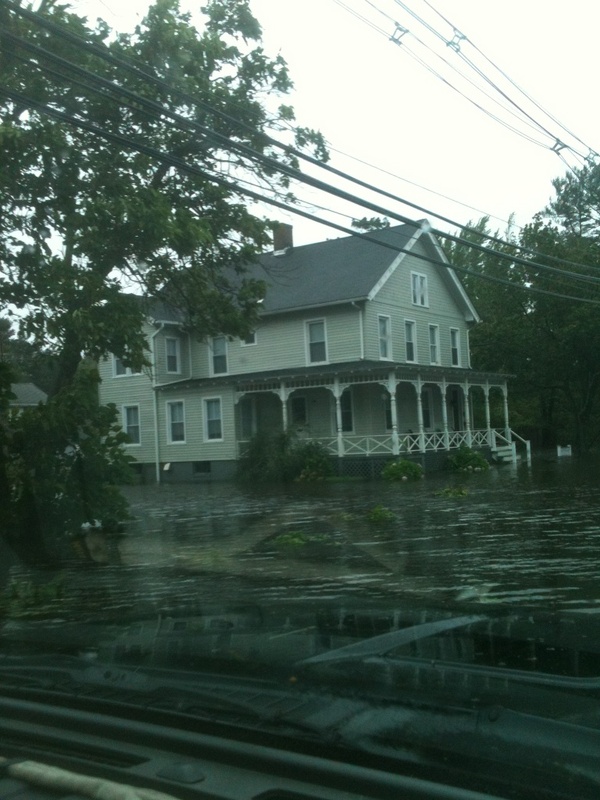 As the national media pontificates about whether Irene was a bust, Connecticut is dealing with its biggest natural disaster in decades. The storm that spared New York, D.C., and Boston ravaged our state with wind damage, inland flooding, and storm surge. What made Irene so bad was a perfect storm of factors that made the imperfect storm so severe. Though Irene was weaker than Gloria when it made landfall the damage was just as bad or worse. This morning we’re getting a better idea of the damage that was done in East Haven, Milford, and other shoreline towns. It’s hard to believe but the damage eclipsed the benchmark 1992 nor’easter in many towns and was the worst since the 1938 hurricane (which was much worse). Bridgeport’s tide level reached 12.07 ft which is higher than 1992 (12.00 ft) and the highest since 1938. In East Haven 25 homes were destroyed by the surge. In Westport the water made it up the Saugatuck River into downtown. In Guilford and Branford Long Island Sound rushed up tidal rivers like the West River and Branford River flooding places that hadn’t seen water in decades. The surge was caused by several factors. The new moon produced astronomically high tides. The storm’s relatively long duration for a New England hurricane pushed water into the sound for a very long time. When high tide came winds had backed to due south which allowed the water to flood inland a long distance from the Sound in some cases. 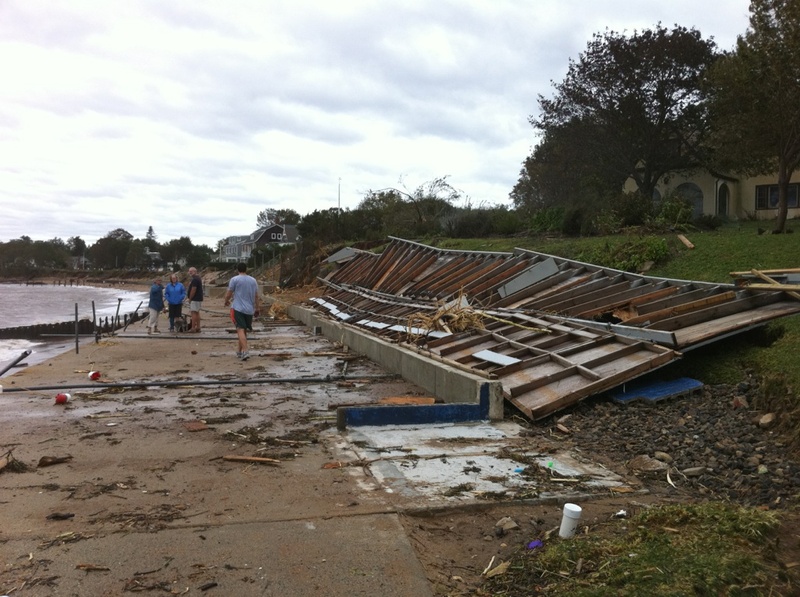 Though the winds in Irene weren’t as strong as Gloria’s wind the damage in many towns is similar. One of the biggest reasons is that Irene’s strong winds lasted much longer than the strong winds during Gloria. Less wind can cause more significant damage when extended over a long period of time and that’s one of the reasons we saw so much damage to trees and the power infrastructure. 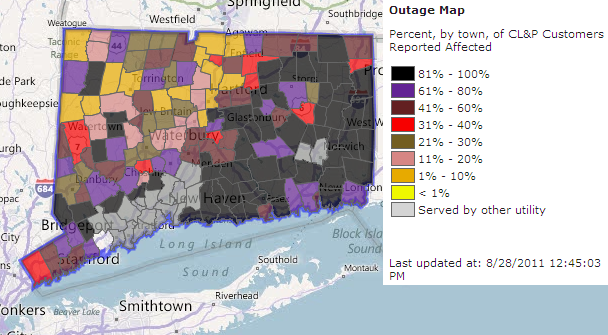 The towns in black are 81-100% without power and it’s easy to see the parts of the state hit hardest. In the Connecticut River Valley and Litchfield Hills the winds were not nearly as strong as in southeastern Connecticut as the wind field became displaced to the right of Irene’s track. Another reason for the large amount of tree damage was the amount of rain we had before the storm struck. Unlike Gloria, which dropped little if any rain across the state, Irene put down 2″-11″ of rain in Connecticut effectively weakening the roots of trees. The wet soil made it much easier to topple and uproot trees that were swaying in the wind. At the height of the storm over 650,000 CL&P customers were without power (smashing the old record of 477,000 from Gloria) and 150,000 UI customers were in the dark. Nearly 50% of the state lost power. Though the flooding on some of the smaller rivers and streams west of Hartford was significant we really dodged a bullet on this one. Vermont is cleaning up from one of their worst natural disasters in a century with entire towns destroyed. Brattleboro, Ludlow, Wilmington, and Dover, VT suffered catastrophic damage from flooding. The Pequabuck River in Bristol surged out of its banks flooding a large area on Route 72. The eastern slopes of the Litchfield Hills seem to have been hit the hardest by flooding with a road washed out in Harwinton and the Farmington River surging out of its banks and over Route 4. Thankfully the larger rivers like the Housatonic and Connecticut will be able to handle the flood waters and not produce widespread flooding. The lower Connecticut south of Hartford is the only river in the state expected to produce a “major” flood. The forecast crest in Middletown of 16.3 feet is the highest since 1987 but well short of the recent benchmark 1984 flood. Irene behaved pretty much as I expected up here in terms of damage produced. The lesson I take away from this storm is how lucky we’ve been recently. Irene was a strong tropical storm across Connecticut and well shy of hurricane strength. Imagine the damage from a strong category 1 hurricane? Or a 2? What about a category 3 hurricane like 1938? Irene may be the biggest storm to hit us in quite some time but it isn’t anywhere close to one of the strongest. I still don’t think we’re ready for the “big one”. This entry was posted in Uncategorized and tagged hurricane Irene by ryanhanrahan. Bookmark the permalink. I don’t think we could handle a 2 or three. You and all of ch30 did a great job with coverage. I appreciate having you all there to tell me what to expect throughout the storm. I used to live on the West River in Guilford (near Route 80). Was the house in the picture down near the sound or further north? thank you for the pictures of ‘The O’… we belong and were only imagining the damage… so sad!